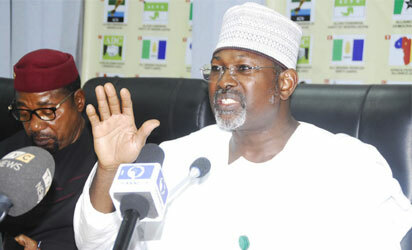 A civil society group, Move on Nigeria, has asked the Chairman of the Independent National Electoral Commission (INEC), Professor Attahiru Jega, to resign because he has failed in the distribution of the Permanent Voter Cards (PVCs) and has shown partiality by having an affiliation with a political party. National Coordinator of Move on Nigeria, Clem Aguiyi, while addressing newsmen in Ikeja, urged Jega to allow Nigerians vote with their Temporary Voter Cards, TVC’s if the PVCs are not available. 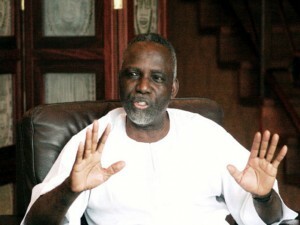 “The reason for the poll postponement as advised by the National Security Adviser at Chatham House, London, on the 15th of January, is that INEC’s attempt to disenfranchise 23 million Nigerians, something that has never happened before in the history of this country, is a security risk. “The National Security Adviser was concerned that such an unprecedented disenfranchisement could lead to an avoidable civil strife which our armed forces would have to deal with at a time when the army should be focused on the current war against insurgents. The major issue is that INEC has failed Nigerians in the distribution of PVCs and seeks to blindfold millions of Nigerians whose right to vote he seeks to truncate. “We make bold to say that the INEC chairman is playing poker with the distribution of PVCs. 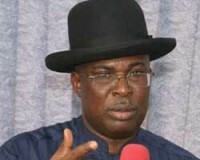 He has decided to help the opposition party, All Progressives Congress, APC, rig the election by depriving parts of the country that would traditionally vote for Jonathan of their cards while the part of the country that would traditionally vote for Buhari are armed with the cards. “He should give people their PVCs and if that is not available, he should make provision for people to vote with their TVCs. In 2011, Jega conducted a free, fair and credible election with the TVCs. I don’t know why he chose to waste the country’s money on PVC’s which can lead to anarchy if not controlled. “Jega is an honourable man and he should honourably resign if he is not ready to conduct a free, fair and credible elections. The President has made every effort to ensure that every voter’s vote counts but the question now is, how independent is INEC?” the group queried.